CHARLESTON – Ronald Dean “Rapid” Hildebrand, 72, of Charleston, passed away Sunday, November 18, 2018 at Charleston Rehabilitation and Health Care Center. Ronald was born November 14, 1946 in Charleston, son of Owen “Boots” and Dorothy E. (Drumm) Hildebrand. He is survived by two daughters: Missy (Greg) Starwalt of Christiana, TN and Jenny (Doug James) Hildebrand of Charleston; one brother: Billy Joe “B.J.” Hildebrand of Charleston; brother-in-law: Gene Copeland of San Diego, CA; grandchildren: Zachary (Megan) Starwalt, Caymen Starwalt, Berkeley Slightom, and Elle Slightom; great-grandchildren: Tristan Sullivan and Adilyn Starwalt; nieces and nephews: Bud (Donna) Edwards, Bill (Dawn) Edwards, Terri (David) Crowe, Brian, Jeff, and Lori Hildebrand, Tina (Jerry) Hildebrand-Cox, Chris (Val) Staggs, and Rob Copeland; numerous great-nieces and great-nephews also survive. He was preceded in death by his parents, two sons: Jason Hildebrand and Jerry Hildebrand; three sisters: Susie Hildebrand, Shirley Copeland, and Molly Storment. 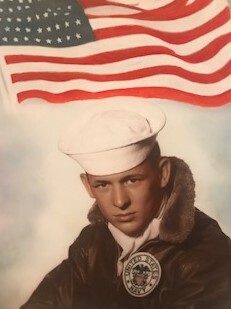 Ronald was a U.S. Navy veteran. He worked for many years as a floor installer, and had also worked at General Electric. He held memberships in the Charleston V.F.W. and the former Charleston Eagles. Visitation will be from 11:00 a.m. to 1:00 p.m. Saturday, December 29, 2018 at Home Church (formerly Salisbury Church – Charleston Campus) 2350 Madison, Charleston, with his Celebration of Life service beginning at 1:00 p.m. Following the service, Lefty’s Holler, 727 Seventh Street, Charleston, will host a dinner in his honor, beginning at 4:00 p.m.